Warning signs of a Stroke you must know! Recent studies have revealed 1 in 6 men and 1 in 5 women will experience a stroke in their lifetime. You can very well say every two seconds, someone in the world suffers a stroke; every six seconds, someone dies of a stroke; every six seconds, the quality of life of someone will be changed forever. A person can even become permanently be physically disabled due to stroke. These are shocking figures! But with medical intervention on time the effects of Stroke can be reduced significantly &amp; lives can be saved too. A Stroke can be defined roughly as a “brain attack” because it affects the arteries leading to and within the brain. When a blood vessel that carries oxygen and nutrients to the brain is either blocked by a clot or bursts a stroke happens. During a stroke, a part of the brain cannot get the blood (or oxygen) supply it needs and the Brain cells die as a result. Human brain is an intricate organ that is the control centre of a variety of body functions. If a part of the brain has died due to the blockage, a part of the body is also affected which differs according to the part of Brain under the trauma. your chances of the occurrence of a Stroke. Knowing the warning signs and getting someone who may be suffering a stroke to the hospital quickly allows them to be assessed and clot bursting medicines to be given. Renowned neurologists strongly vouch for reversing the Stroke effects within 3 hours provided the symptoms of a stroke are recognized in time and the paramedics react quickly. S – Smile – Can the person smile? T – Talk – TALK to them and ask them about SIMPLE THINGS. Are they able to speak clearly and understand what you say? R – Raise – Can the person raise both arms? Researchers have now found a new indicator that warns you beforehand, leaving you with just enough time to react and probably save a person’s life. Ask the person to stick their tongue out. If they can’t do it or you see the tongue shifting one way to the other inside their mouth then you can infer that the person has probably suffered a stroke and you need to react promptly. Contact us if you would like to know more about stroke and how we can help with prevention and/or treatment of hypertension. 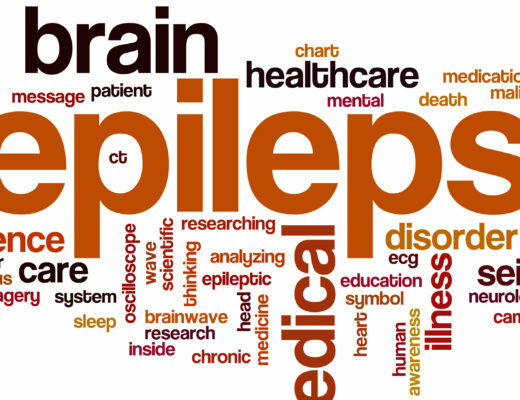 What causes Epilepsy? Know its Symptoms, Causes & Treatment.